Ideas for engagement gifts can sometimes elude us. If you've reached the point where you're just about ready to resort to the boring fallback of a gift voucher or bottle of wine, then STOP! You've successfully landed in the right space! These wishes from Captured Wishes can be given from one person, or a group. Each wish vessel is unique and filled with the love and wishes you feel in your heart but don't quite know how to express. This verse card is designed to be given by any number of people - from one person to a group ( because the card uses the phrase "These wishes"). 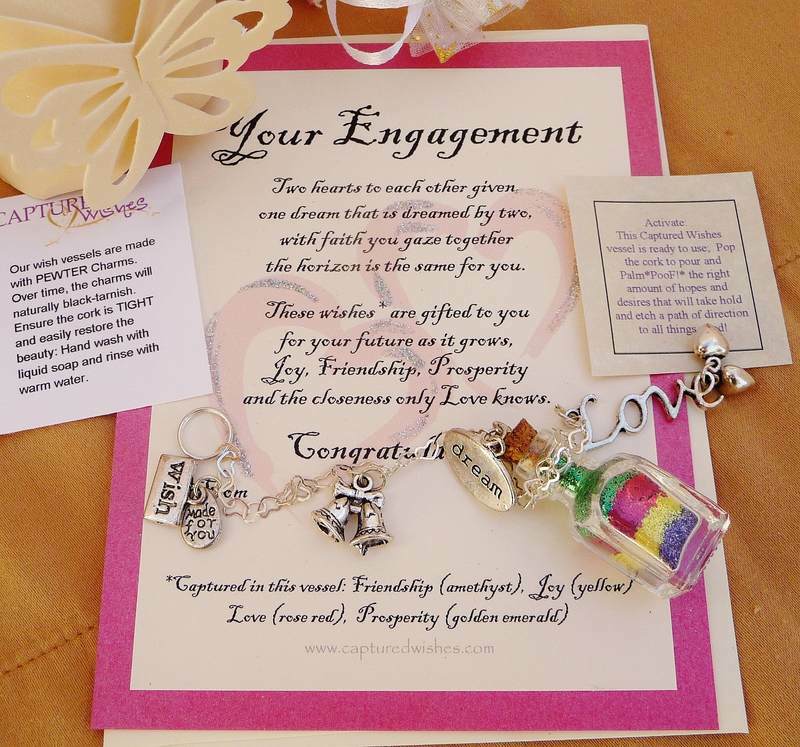 These Engagement Gifts are Wishes that will Definitely Surprise Everyone! Stop searching for ideas because here's the perfect choice! The wish vessel measures approximately 35mm x 17mm and can be personalized by adding the initials of the couple. A great choice, whether you're giving this just from you, from a family, or a larger group of friends or work colleagues. Complete, packaged, and ready to give.